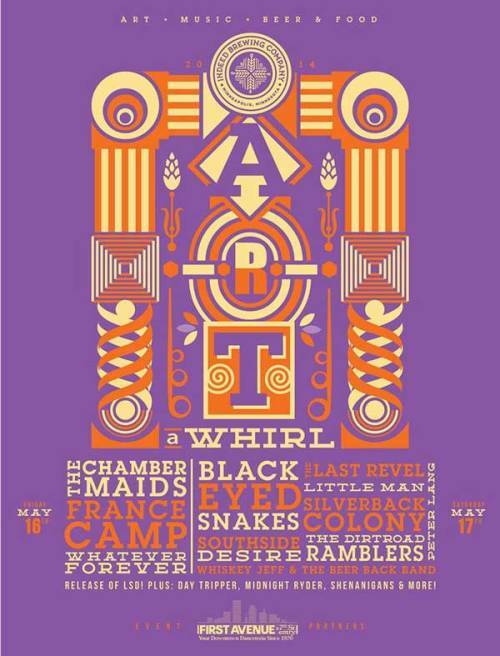 Come celebrate Art-a-Whirl 2014 with Indeed Brewing Company! Northeast’s famed annual art celebration continues in its 19th year and we are joining the festivities with live music, art, beer and food at our 2-day long celebration. With the release of L.S.D. Honey Ale, we’re expanding our taproom outside with a tent and additional seating and taps. Get here early and stay late and enjoy all that is great about Northeast!